As expected, Chris Weidman will serve as a last-minute replacement to face Alessio Sakara at “UFC on Versus 3: Sanchez vs. Kampmann.” The KFC Yum! Center in Louisville, Kentucky will host the March 3rd event. 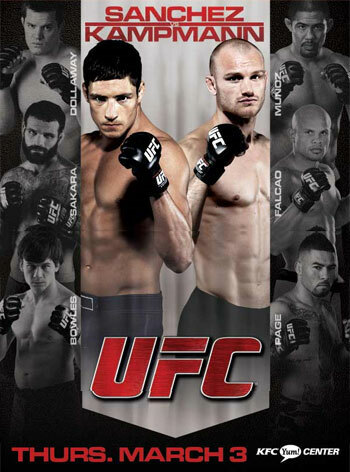 The Versus broadcast features a pivotal welterweight affair between Martin Kampmann and Diego Sanchez. A middleweight scrap between Mark Munoz and CB Dollaway will serve as the card’s co-main event. Sakara was originally slated to face Maiquel Falcao, and then Rafael Natal, but injuries forced both middleweights off the freebie fight card.